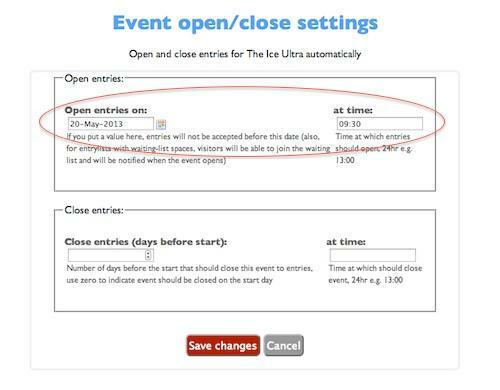 You can now automatically open your event for entries at a particular date and time - you might use this if you want to list your event right away but aren't ready to accept entries yet, or if you want to co-ordinate the 'launch date' of your event with an advertising push. Once the start time rolls around we'll start accepting entries automatically. You might also want to set up a pre-entry waiting list so potential entrants can register their interest in advance.